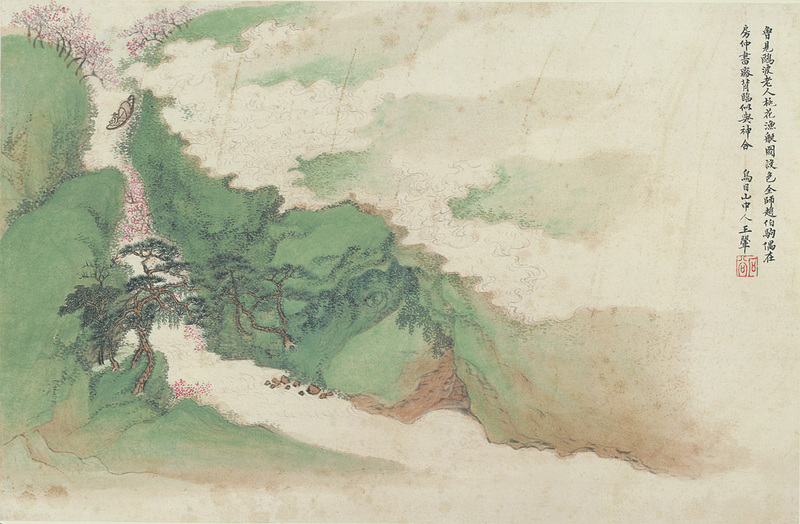 Wang Hui (王翬, 1632–1717), courtesy name Shigu (石谷), pseudonym Gengyan (耕煙), was a landscape painter of the early Qing dynasty. He was one of the group of Chinese painters known as the Four Wangs, which also include Wang Shimin (王時敏, 1592–1680), Wang Jian (王鑑, 1598–1677), and Wang Yuanqi (王原祁, 1642–1715). Wang Shimin and Wang Jian, who had been the disciples of Dong Qichang (董其昌, 1555–1636), were in turn the teachers of Wang Hui. Wang Hui was taken into Wang Jian’s household in 1651 and was there introduced to the leading scholar-painter of the day, Wang Shimin. 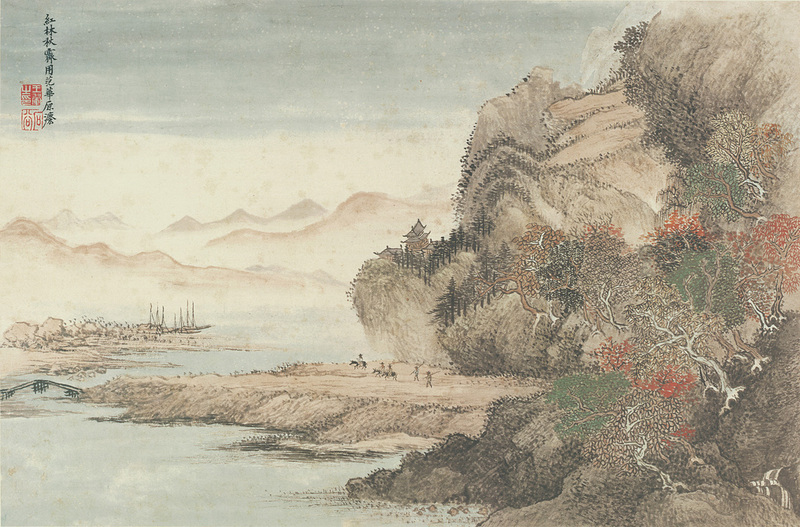 Thus Wang Hui enjoyed a broad and profound contact with both the theory and practice of what Dong had taught and, according to the praise of both his teachers and contemporaries, excelled in painting. Wang Hui’s fame reached the court in Beijing, and in the period 1691–98 he was commissioned to supervise the production of a series of hand scrolls commemorating the Kangxi emperor’s tour of the South. After that, however, he returned to the cultivated elegance of private life. Wang Hui, much like the other Wangs, primarily painted landscapes. Though much of his painting is academic and pedestrian, there is in his best works an intensity in the handling of brushstroke rhythms and textures that yields a dense and detailed unity without losing the composition’s clarity or meaning.